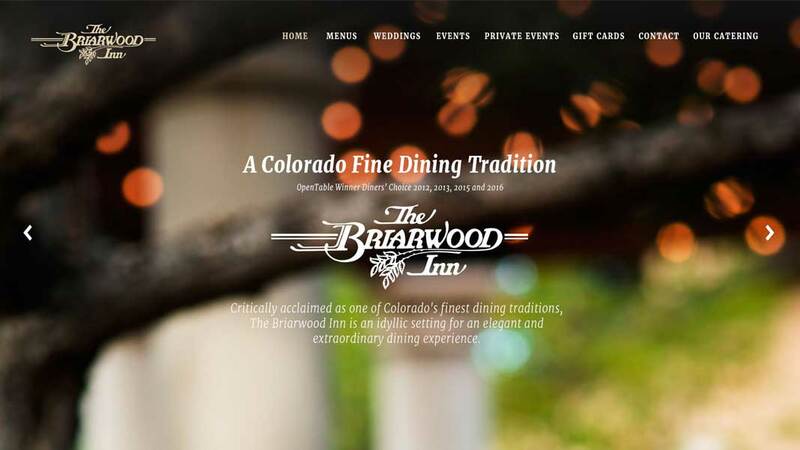 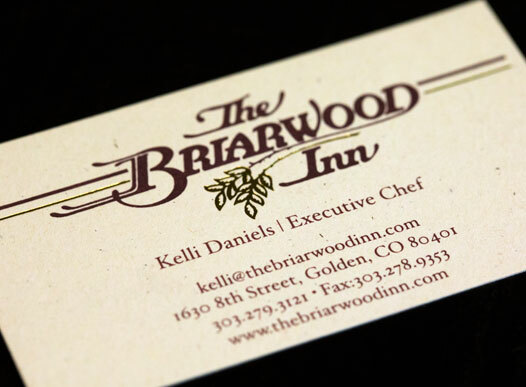 The Briarwood Inn, a fine dining tradition in Golden, CO, asked Stortz Design to assess their branding and refresh their website with modern web technologies and a whole new look. 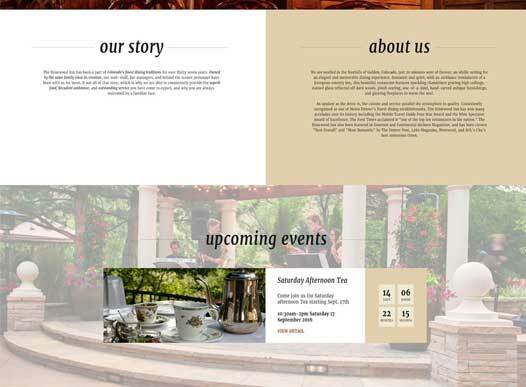 Using the same CMS format and theme from the catering site and with some added functionality, the site provided better overall UX design. 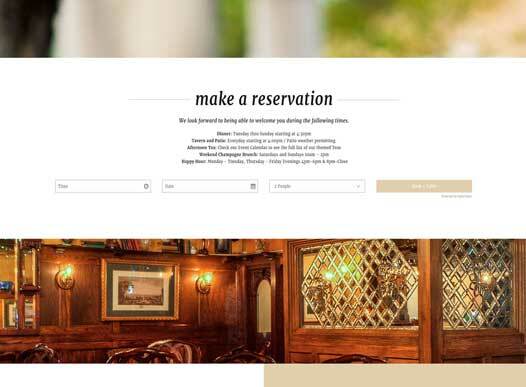 Directing users and conveying a story that provides the restaurant experience on the web while showcasing monthly events, an all in one menu tab and reservation forms.